Do you have, or know of, a company or business that operates in Hibberdene? Hibberdene is considered the gateway to the Hibiscus Coast of Kwazulu Natal. 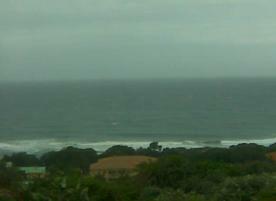 It is a seaside town situated 97 km south of Durban, halfway between Scottburgh and Port Shepstone. Hibberdene has become a popular holiday destination with local and foreign tourists. It is known as an affordable destination and for its beaches. Hibberdene has five popular beaches, four of which are netted and thus are safe for swimming. Hibberdene's beaches are popular because of the warm Indian Ocean flowing across its shoreline, making diving, snorkelling and scuba diving very pleasant. Hibberdene serves as a shopping centre for small settlements and countryside surrounding it. There are plans of establishing a small craft marina in Hibberdene. A twice daily shuttle bus stops in Hibberdene connecting the town with Margate, Port Shepstone, Durban and Durban International Airport.